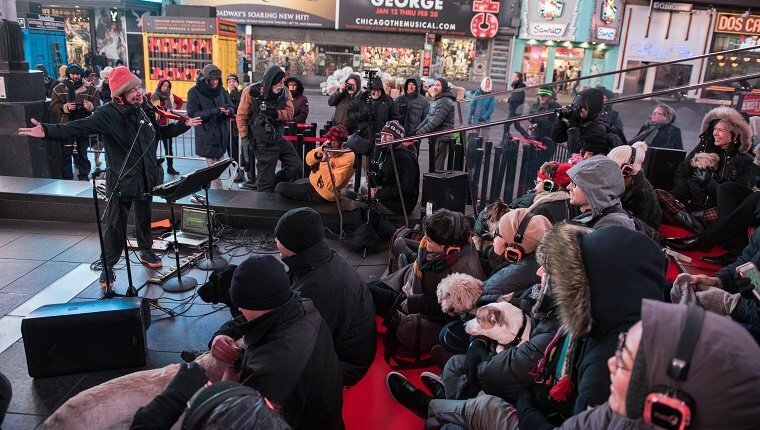 Hundreds of New Yorkers gathered in Times Square in early January, braving freezing temperatures to enjoy a performance by artist Laurie Anderson. But the concert wasn’t really for humans. It was for the dog companions who accompanied their owners, tucked inside jackets, snuggled against warm bodies, or sitting on laps. The speakers projected at low decibels, perfect for sensitive doggy ears, and the pups got priority seating, front and center. 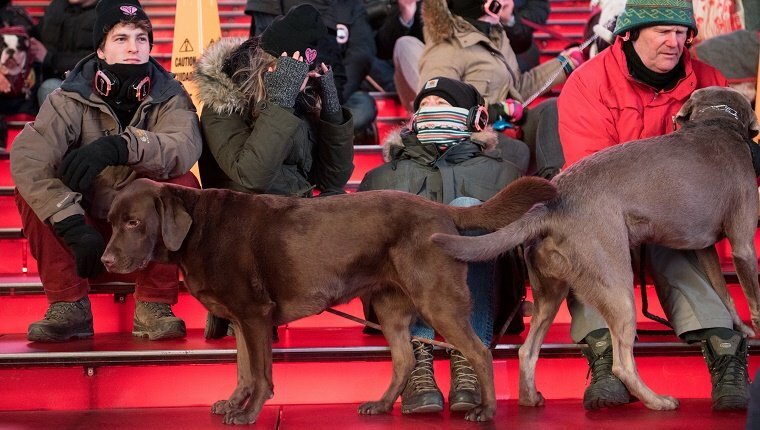 Humans wore headphones to catch the high notes without disturbing their pooches. 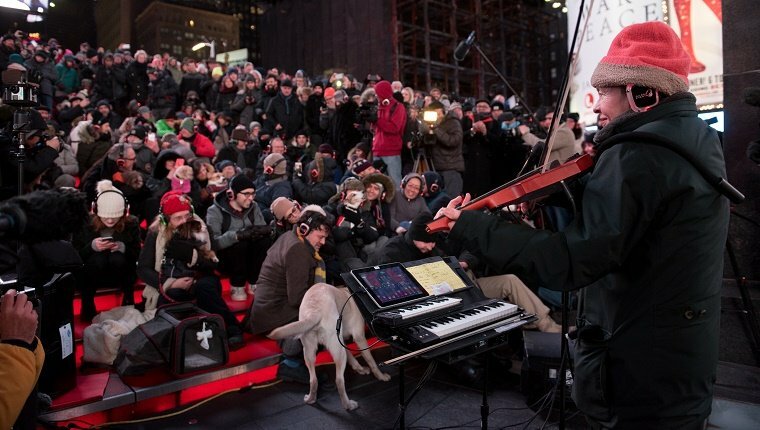 Anderson played her instruments with bare hands in the bitter cold, and even encouraged the doggy audience to bark along. The night ended with a clip from Anderson’s documentary Heart of a Dog, which deals with loss and love, especially the love of her dog Lolabelle. Anderson said it’s been a dream of hers to perform for an audience of dogs for years, and she finally got her wish. Would you go to a concert for dogs with your pup? Let us know in the comments below!